ELIJAH Masinga did not know how much he would love biking until two friends introduced him to it. 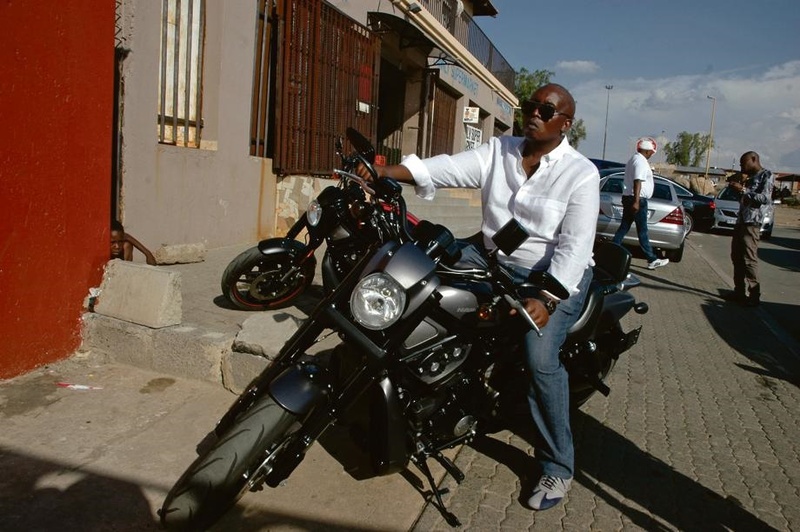 Elijah, originally from Tembisa but who now lives in Kempton Park, near Joburg, has been riding since 2016 when he bought his Harley Davidson bike. Q: Is she your first? Q: Who else can ride her? A: Only people with learner’s or rider’s licences can ride my bike. Q: How far have you ridden her? A: I have been to Swaziland, Kuruman, Durban, East London, Polokwane and Lesotho. I plan to visit Western Cape and Mozambique. Q: Is she your dream bike? A: Yes, I love Harley Davidson bikes. Q: How often do you ride? Q: When did you start riding? A: I started riding in 2016 after I bought my bike. I first learnt to ride her before taking her out on the road. I took two days to learn to control my bike. Day one was all theoretical and day two was all practical. I was cruising on the road after that. Q: How often do you get traffic fines? A: I am extra careful on the road – I don’t ride to get fines. Being careful is part of bike riding. Bikes don’t have safety belts, frames or airbags. You need to be extra cautious at all times. Q: Is this your only bike? Q: Do you have a rider’s licence? Q: Tell us about your outfit? A: It’s for my safety and I cannot ride without it. Every biker needs to wear safety gear whether he or she owns a cruiser or a superbike. Some people think that cruiser riders don’t need safety gear but that’s not true – if you can fall off a moving bike, you need an outfit to protect you. Q: Do you belong to a bike club? If you do, which one? A: I ride with a group but it’s not a club. We ride for fun and clubs are full of annoying politics that we do not need. We are more like a family so there are no special titles and positions. We call ourselves Cool Responsible Riders.